CAS-ual Fridays Stamps: Tutu is back in stock! Tutu is back in stock! I'm so excited to tell you that Tutu is back in stock! 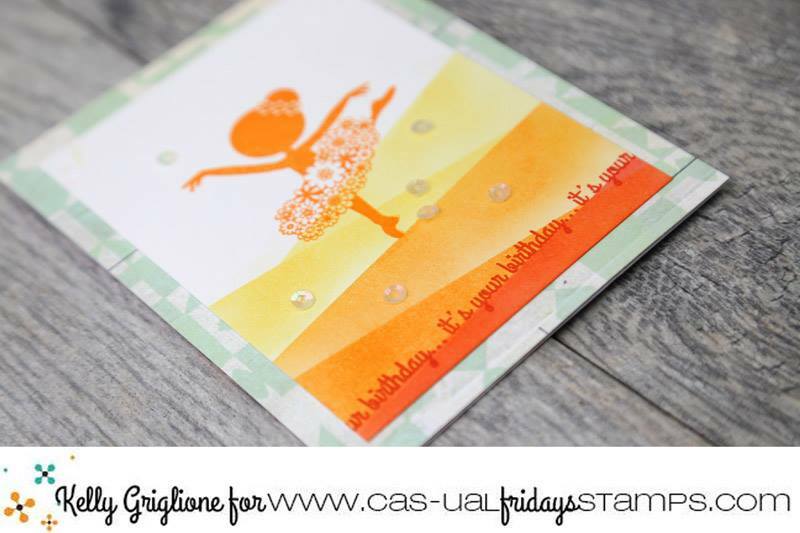 Check out this darling card from Kelly using Tutu and a fun little sentiment from Whole Shebang. 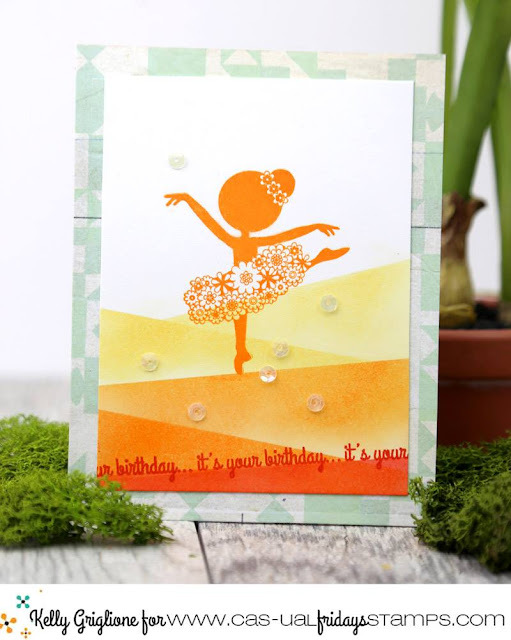 So much color and cuteness and still flat enough to easily mail!